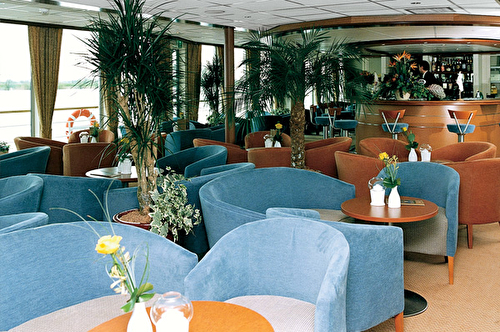 Viking Europe, Viking Neptune, Viking Pride and Viking Spirit are four sister ships that set the bar for river cruising in Europe when they were launched in 2001. 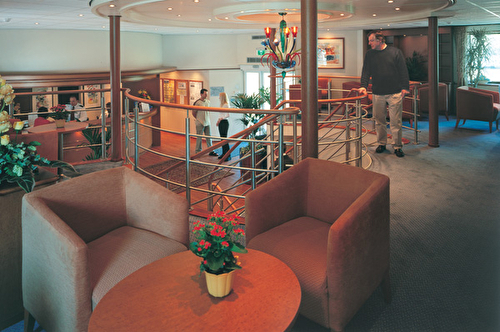 They feature a beautifully designed layout of public areas and a wraparound deck that allows guests to enjoy scenery in the open air any time they wish, even during canal lock transiting or while sailing under low bridges; each ship accommodates just 150 guests in spacious staterooms, most with windows that open. 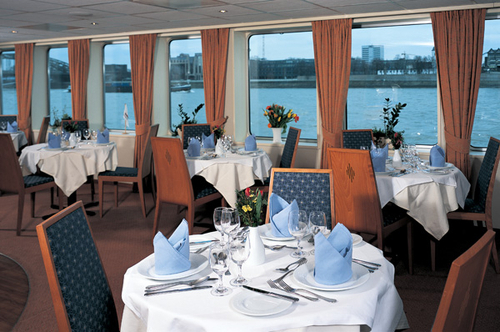 See Europe on an elegant, versatile river cruise ship. 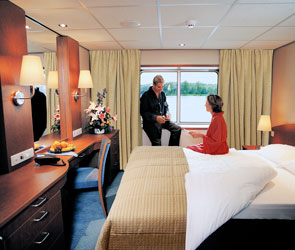 Stateroom size: 170 sq. ft. Hotel-style beds 79 inches x 63 inches (with optional twin-bed configuration). Large window 4.72 ft. x 3.08 ft. (cannot be opened). Private bathroom with shower and premium bath products. Bathrobe and slippers available upon request. Telephone, safe, hair dryer & bottled water replenished daily. Individual climate control. Space under bed for storing suitcases. Roomy wardrobe with wooden hangers. Voltage: 220V and 110V in stateroom. TV with premium entertainment package including: CNBC, CNN, FOX, ESPN, National Geographic, MGM Movies, Sky Cinema and “View From the Bridge”. 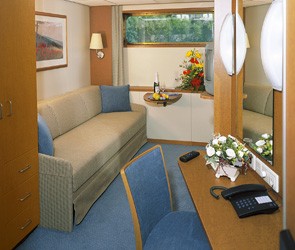 Stateroom size: 120 sq. ft. Sofa & Pullman beds 75 inches x 31 inches. Half-high picture window 4.72 ft. x 1.44 ft. (cannot be opened). Private bathroom with shower and premium bath products. Bathrobe and slippers available upon request. Telephone, safe, hair dryer & bottled water replenished daily. Individual climate control. Roomy wardrobe with wooden hangers. 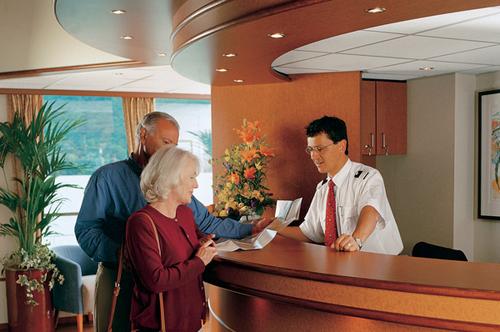 Voltage: 220V and 110V in stateroom. TV with premium entertainment package including: CNBC, CNN, FOX, ESPN, National Geographic, MGM Movies, Sky Cinema and “View From the Bridge”.